I subscribe to Heart Advice: Weekly Quotes from Pema Chödrön. You can subscribe by clicking here. We’re encouraged to meditate every day, even for a short time, in order to cultivate steadfastness with ourselves. We sit under all kinds of circumstances—whether we are feeling healthy or sick, whether we’re in a good mood or depressed, whether we feel our meditation is going well or is completely falling apart. 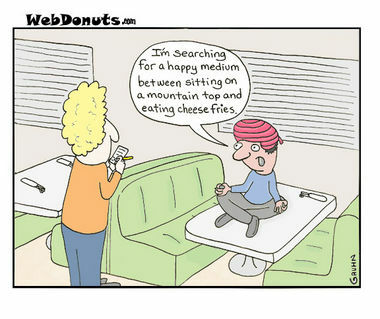 As we continue to sit we see that meditation isn’t about getting it right or attaining some ideal state. It’s about being able to stay present with ourselves. It becomes increasingly clear that we won’t be free of self-destructive patterns unless we develop a compassionate understanding of what they are. 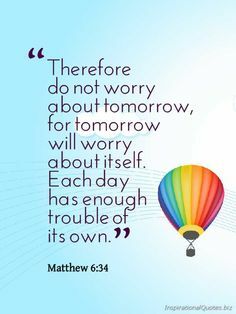 This teaching came at the perfect time. I have been mentally wavering in my practice. I still practice yoga and meditation daily however, getting started has been the hard part. I will dilly-dally around, play on the internet, do chores, or do any other stalling technique before surrendering. A minute or two in, I’m always so happy I did it, but something about getting started has been difficult lately. This is why this quote resonates with me. I know that sitting and practicing under this current weather system of the mind that I’m experiencing, will continue to teach me how to be compassionate with myself under all circumstances. It also keeps me honest in my practice of both yoga and meditation. So today, remain steadfast in your practice and continue to cultivate compassion. Categories: dealing with difficulty, Great Books, Great Teachers, how to meditate, meditation, mindful breathing, mindfulness, yoga | Tags: meditation, mindfulness, Pema Chodron, steadfastness, yoga | Permalink. I read an amazing article on Psychology Today that I wanted to share with everyone. This article gives wonderful practical advice for dealing with the idea of an inner critic. You know, that voice that tells you everything bad about yourself. Please take a couple of short minutes to read the article! Although the article is not written through the lens of mindfulness, it is certainly present in the strategies given to overcome the inner critic. Like most mindfulness practices, the article teaches us to start with noticing. We must become the observer who can watch our thoughts, feelings, and emotions and then become aware of how we react to them. After we can recognize what we’re doing, we can then step aside and chose not to react, but rather respond with a useful pattern, thought, feeling, or idea. Since it’s a given that we all have some sort of inner critic, let’s agree to be aware of the voice of our own critic and cultivate compassion for ourselves and for others. Categories: dealing with difficulty, Great Teachers, meditation, meditation in the news, mindfulness, yoga | Permalink. Although I have been practicing yoga since my teenage years and I am a certified and practicing Hatha yoga teacher, I have recently started practicing Ashtanga yoga. I have found it to be a wonderful addition to my practice. I was talking to my teacher about any good books or resources she had on the topic and she suggested, Ashtanga Yoga Practice and Philosophy, by Gregor Maehle. I came across a paragraph from the introduction (page 3), that I’d like to share with you. I found it to be very helpful in terms of mindfulness practice. Yoga is the middle path between two extremes. On the one hand, we can go to the extreme of practicing fanatically and striving for an ideal while denying the reality of this present moment. The problem with this is that we are only ever relating to ourselves as what we want to become in the future and not as what we are right now. The other extreme is advocated by some schools of psychotherapy that focus on highlighting past traumas. If we do this, these traumas can increase their grip on us, and we relate to ourselves as we have in the past, defining ourselves by the “stuff that’s coming up” and the “process that we are going through” “Asana is an invitation to say goodbye to these extremes and arrive at the truth of the present moment. (Ashtanga Yoga Practice and Philosophy, page 3). I see this in yoga, and in meditation. In meditation, we can get hooked on the practice. We may start to notice ourselves striving to be good at meditation and we also may start to feel discouraged at the perceived “lack of progress” we feel when we are having a particularly busy-mind sort of day. It’s important in both yoga and meditation to approach them with a sense of ease, flexibility, and kindness. A, “let’s see what happens today” attitude can be quite helpful. Just the other day I thought I was going to have a “bad” yoga day (meaning, I went to MySore practice sore, tired, and feeling low energy). I knew that carrying that mindset in to the practice wouldn’t be helpful so I said to myself, “well, let’s just see what happens!” Turns out, I was more open than I thought and was able to do a bind that hasn’t been available to me before. I’m not saying that the minute we let go that all of the sudden things will be available to us- because then that turns into yet another area of striving, but rather, it’s the “watch and see” attitude. That’s where the magic is. Observing the present moment as it is is where the power lies. We can’t live in the past “my mind is always so busy, I can’t ever stop thinking” or “I will never be able to do this posture.” We can’t live in the future of striving, “I’m going to do this asana if it kills me” mentality. Life is about finding the balance between the extremes. Life is about walking that razor’s edge. Yoga and meditation teach us how to find the path, allow us to practice the path, help us observe when we stray from the path, and allow us to return to the path. Categories: dealing with difficulty, Great Books, meditation, mindfulness, yoga | Tags: Ashtanga, hatha yoga, meditation, middle path, mindfulness, yoga | Permalink. Yoga and meditation teach us flexibility of the mind. We learn that we don’t have to react to every whim, thought, feeling, or impulse. We learn, through these practices, how to become an observer of these things and then to ask, “Is this true for me, now?” I have found, throughout my journey, that there are ideas and beliefs that I have become attached to. Meditation and yoga have taught me to notice them, and then step away and look at the bigger picture. There have been some things that I have learned to looks at differently, now. With flexibility of the mind, we are able to tap into more creative problem solving strategies when we encounter difficulties. We are better able to see things objectively and have an open mind and loving heart. Today, and throughout the week, I challenge us all to see where we can become more flexible with difficulties to see if it creates more ease and happiness in our lives. Categories: dealing with difficulty, Great Teachers, mindfulness, short meditation, yoga | Tags: flexibility, inspiration quotes, meditation, mindfulness, yoga | Permalink. I know I have at least one reader (ahem, Kacey), who remembers that episode of Friends…the one with the closure. Ever since that episode aired, I remember my friends and I always talking about closure. It morphed from talking about ending relationships into talking about anything. It started being a term that my generation used for ending jobs, moving through different life stages, relationships, and pretty much anything ended up needing some sort of closure. All of the sudden, it became clear to me that we all tend to keep looking for resolutions and closure to everything. When we live in that belief that we need specific markers to be an “end” to something, we get very attached to goals and the way things should be. If we don’t get closure or a resolution, we feel uncomfortable! We have learned that ambiguity is bad and wrong. Yesterday, I got a quote of the day sent to me from my girl Pema Chodron. You can click here to learn how to subscribe to her emails. Did you catch that? We deserve our birthright, which is the middle way, an open state of mind that can relax with paradox and ambiguity. Did she just suggest RELAXING with paradox and ambiguity? I’m certain that my conditioning has been to do everything BUT relax with those feelings but if it’s good enough for Pema, it’s good enough for me! 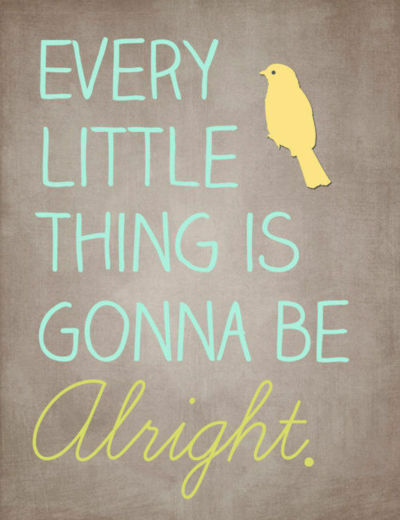 I will try. Today’s Opportunity for Mindfulness: Let’s examine our thoughts, beliefs, and feelings to see where we are missing the open state of mind that can relax with paradox and ambiguity. Categories: dealing with difficulty, Great Books, Great Teachers, meditation, mindfulness, yoga | Tags: dealing with difficulty, meditation, mindfulness, mindfulness book, open mind, Pema Chodron, relax with ambiguity, yoga | Permalink. I’d like to share this wonderful article about 6 common meditation problems and how to deal with them. The things mentioned in this article are all thoughts and experiences I have encountered in meditation that sometimes make it difficult to continue. It’s a short read and well worth your time! 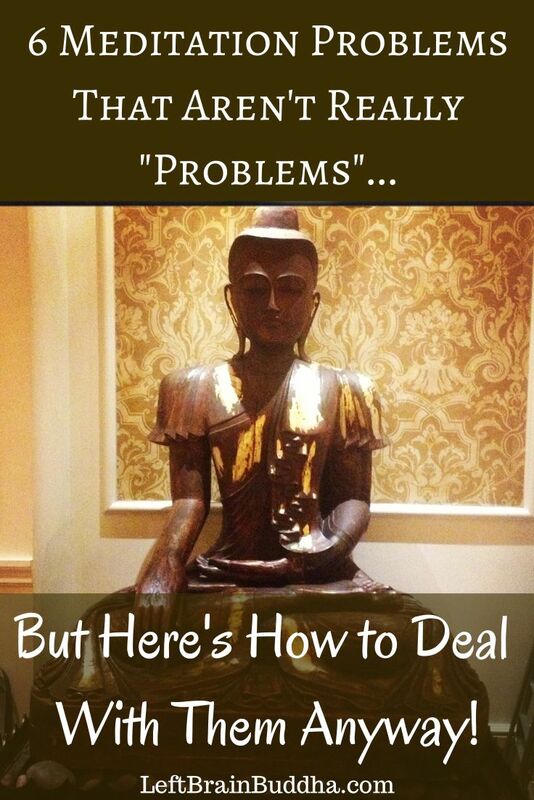 Meditation Tips: 6 Meditation Problems That Aren’t Really Problems… But Here’s How To Deal With Them Anyway! Categories: dealing with difficulty, how to meditate, meditation, mindfulness, yoga | Tags: how to meditate, meditation, mindfulness, problems meditating, when meditation is difficult | Permalink. My husband and I have started training for another half marathon. I’ve lost count of how many we’ve already run in the past 5 years, but it’s somewhere in the 20’s. I’ve also run 2 full marathons. However, last year was a light year as far as races go, so I’m a little out of practice when it comes to runs longer than 4 miles. Yesterday, we had our first 5 miler. Running here is in Germany is very different than running in South Florida (where we lived for the past 8 years). There are hills! We were doing a new run yesterday and it was quite hilly. My mind was spinning and spinning. All that I kept thinking about was how much farther we had to run up this hill, how hot it was, how tired I was, how long the stupid hill was (it was a 2.5 mile out and back and the way back was almost all uphill). I just couldn’t get out of my head. Then, I paused. I remembered. Well, I didn’t stop, but I remembered the best advice I ever received: You don’t have to believe your thoughts. Taking a lesson learned from meditation and yoga, I stepped out of my head and into my body. I could hear the chatter still going on in my mind, but I chose to not believe it, and instead listened to what my body was telling me. My body told me that my legs were fine, in fact, they felt strong. I checked my breathing, and it was smooth and even. I checked in with my arms and shoulders, they were relaxed. I checked in with my heart, and it was beating at my normal long run rate. I realized then that I was fine! I wasn’t tired and my body felt strong and relaxed. I could make it. All body signs pointed to “yes, keep going. You’re feeling great!” It was only my head that was in the way. Oh, the DRAMA in my head. I laughed at myself and I finished the run nice and strong. How many times do our minds and thoughts go against what we truly feel? 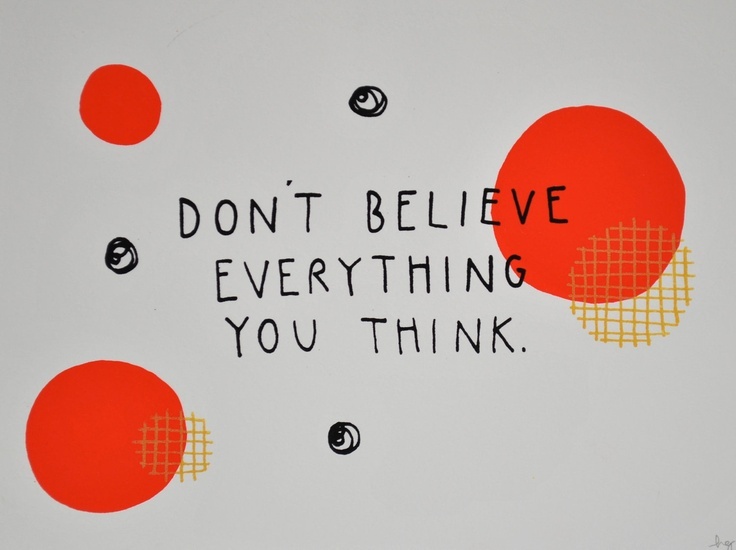 Today’s Opportunity for Mindfulness: When the mind starts to spin in stories and thoughts, take a moment to check in with the body and see if what the mind is thinking is actually true, or if it’s just the drama of thoughts. Categories: dealing with difficulty, meditation, mindful breathing, mindfulness, yoga | Tags: benefits of meditation, don't believe thoughts, meditation, mindfulness, run, yoga | Permalink. These are a few of my favorite teachings… ever! Categories: 5 minute meditation, dealing with difficulty, Great Teachers, mindfulness, yoga | Tags: Bob Marley, Buddha, do not worry, Jesus, live in the present, worry | Permalink. Categories: 5 minute meditation, dealing with difficulty, Great Teachers, mindfulness, yoga | Tags: enlightenment, karma, karmic patterns, meditation, mindfulness, taking responsibility, yoga | Permalink.